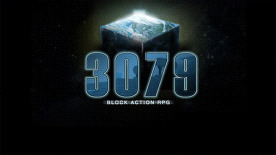 3079 is a futuristic, open-world action first-person role playing game. All areas, buildings, items, quests and characters are randomly generated. You will find unique lands & challenges. You arrive on a planet experiencing constant war. It is your duty to find out why the warring factions cannot find peace on their own & hopefully restore it yourself. Make sure you have Java 7 Update 45 (or better) installed! On Windows, if you have trouble, you may need to uninstall other versions of Java. Body-part specific damage calculation and dismemberment: Head Shot! Challenging artificial intelligence -- enemies and allies will dodge, follow, inspect sounds etc. A very fast, efficient multithreaded engine for smooth, high FPS gameplay almost completely free of "lag"